This practical, empowering and loving book is based on The Seven Simple Shifts and was created to help you in your spiritual awakening journey. These shifts are universal knowledge which come from the esoteric realms and have been brought to life here by Algernon Williams. They empower you to seize your best life by showing you how to shift your energy and transform your thinking about family, money, relationships, abundance, and the power you have within you to control your own life. It inspires you to transcend the chaos and live a life of purpose in the present moment where great empowerment and life changing transformation occurs. We are continually looking for solutions ‘out there’ and we forget that we have all the magnificent resources and tools inside ourselves to catapult ourselves into an entirely new way of living by simply tapping into our own abundant source of energy. 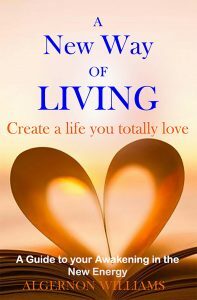 For any of you who are just waking up or are in throws of your awakening or feel like you are on the verge of something different and new, ‘A New Way of Living’ is an invaluable resource for you to create a life you totally love. This book is free from 03/30/2019 until 03/30/2019. With over 3 decades working as a Transformational Life Coach, Karate Sensei, and Healer, Canadian born, Algernon Williams has lived and worked in London, South America, The West Indies, Canada, USA and New Zealand. He is a power house of experience and insight. He offers a fresh view of life that challenges our habitual thinking empowering us to allow a new 5D template to emerge, living free and fulfilled with purpose and passion. 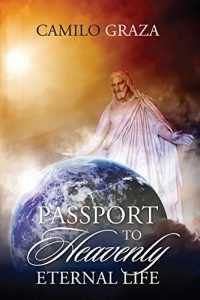 OUR ULTIMATE GOAL-“PASSPORT TO HEAVENLY ETERNAL LIFE.” This book reveals the purpose of God in creating this vast universe including humankind. He created us as His masterpiece for His glory. But we transgressed and become unfit to serve Him. Although our sins are red as crimson, it still can become white as snow. God expects a complete surrender of our lives to Him, by refraining from our misdeeds and follow the footsteps of His son Jesus Christ, who shed His blood and died for us in the cross. God did not just create us for nothing but had adopted us His children, as the Bible says: “The Spirit himself testifies with our spirit that we are God’s children. Now if we are children, then we are heirs-heirs of God and co-heirs with Christ, if indeed we share His sufferings in order that we may also share His glory.” Romans 8:16-17. The Bible further says; “He who overcomes will inherit all this, and I will be his God and he will be my son.” Revelation 21:7; and He said, “I tell you the truth, unless you change and become like little children, you will never enter the kingdom of heaven. Therefore, whoever humbles himself like this child is the greatest in the kingdom of heaven. And whoever welcomes a little child like this in my name welcomes me.” Matthew 18:3-5. 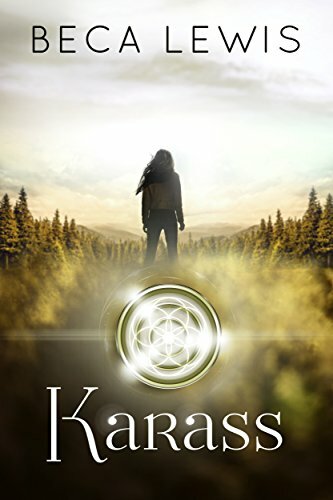 This book is free from 03/26/2019 until 03/29/2019. A Church Lay Preacher; Educator in the Retirement, Pension and Estate Planning, Mechanical Engineer in Aerospace, Petrochemical and Manufacturing Industries, Member in the Insurance Million Dollar Round Table Organization. I am just an ordinary person who had some out of the ordinary experiences, and I wrote this book to share them with others. 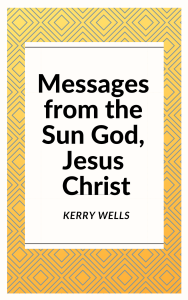 I interacted with Jesus as the consciousness of the Sun. I wrote this book to share my interactions with Christ and God and my experiences with heaven and hell. I interacted with Jesus Christ as the consciousness of the Sun. I wrote this book to share my interactions with Christ and God and my experiences with heaven and hell. 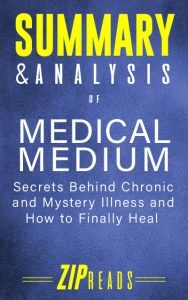 Anthony William introduced the world to his healing powers and unprecented access to medical and spitirual knowledge with his very first book, Medical Medium. Learn the secret causes of many common chronic illnesses and how you can begin the healing process from within. Take control of your health destiny with the Medical Medium! In this book, William covers the hidden symptoms and causes of a range of illnesses including thyroid conditions, Epstein-Barr Virus (EBV), Multiple Scelrosis, diabetes, migraines, autism, ADHD, osteoporosis, depression, Lyme disease, Crohn’s and more! Learn the secret causes behind so many illnesses that people believe are unavoidable–and how you can overcome them. They suspected that it was true, but until Mira started seeing things that weren’t there, Sarah and her friends were content to let it remain a mystery. Now they must fulfill the promise they made before birth and reveal the magic of other dimensions. But first, they have to find each other and outwit those that don’t want them to know the great secret, one that will transform their lives and the future of the earth. Connections and secrets are waiting to be revealed. Are Sarah and her friends strong enough to meet their fate? Whether we are religious or not, there are five key questions we are confronted with by virtue of our humanity. This book is an attempt to respond to these questions thoughtfully and practically. The last thing anyone needs are pious platitudes and spiritual clichés to explain the mystery at the very heart of human experience. “The Five Jewels” provides a welcome change and touch of authentic originality in its response to this mystery. The following series of spiritual reflections is nourishment for the inner self on its journey to deeper connection with reality. This book is bargain priced from 07/07/2016 until . This book is bargain priced from 05/23/2015 until 05/31/2015 Check book price before you buy, as prices can change due to expiration of the sale or other technical issues. The Book of Psalms: Part 2 Chapters 31-60 by Deborah H. Bateman is 27th book in the Daily Bible Reading Series. The book of Psalms contains 150 chapters. Deborah divided The Book of Psalms into five books to make it easier to read and study. Each book will contain approximately thirty chapters from the book of Psalms. The Book of Psalms: Part 2 Chapters 31-60 contains thirty-five Daily Bible Reading Lessons. Each lesson contains a brief commentary by the author, the Daily Bible Reading Scriptures, a few questions for contemplation or discussion, and a prayer of the day. It is a great Bible study for individuals or group studies. This book is bargain priced from 04/24/2015 until 04/30/2015 Check book price before you buy, as prices can change due to expiration of the sale or other technical issues. This is the story of one man’s struggle to accept the past and move on before it destroys everything he is and could ever hope to be. In desperation Gerry flees society to save his sanity and ends up in the remote villages of East Africa. Midst the poverty, he encounters hope and more love than he could imagine. Will it be enough to save him? Can he repair the damage done to him in his childhood or will his abusers win in the end?